Jeff who runs Films From The Far Reaches, a blog that as it's name suggests covers the more obscure end of the Asian cinema market. Informative and entertaining, Jeff's writing pulls you in and makes you want to track down those rare titles. He has also been published in the magazines Asian Cult Cinema and Oriental Cinema and Video. 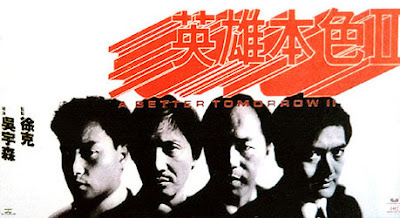 Simply one of the finest Neo Noirs ever made, from Hong Kong or anywhare else. Yuen Biao (throwing not one kung fu kick) displays a level of dramatic here to fore unseen in his previous work. Same goes for other luminaties, Charlie Chan (who's very intimidating here as the main villain), Lo Leih, Yuen Wah and Kao Fei. Patricia Ha is especially memorable as the cold assassin who slowly begins to develope some feelings for Biao (though this is thankfully kept deliberately distant as well). Set against the angst of the looming 1997 takeover by Mainland China, On the Run is filmmaking of a quality that I didn't know Hong Kong was capable of. Tsui Hark's third film is the pinnacle of controversial violence themed cinema. Not even 'A Clockwork Orange' and 'Straw Dogs' can match the jaw dropping cynisism that takes place within these reels. An extraordinary viewing experience which is definately not for everybody (truth to tell, the highly regrettable mouse abuse scene during the opening credits was nearly a deal breaker for me) but for those who are game, this is one of the most gloriously downbeat and breathlessly shot thrill rides ever commited to celluloid. At the center of it all is what should have been a star making perf from the amazing Lin Chen Chi, supplying the film with one of the most terrifying femmes ever to grace the screen (her patently crazed stare is enough to make one relieve himself, so to speak). Jackie Chan's best film as far as I'm concerned. 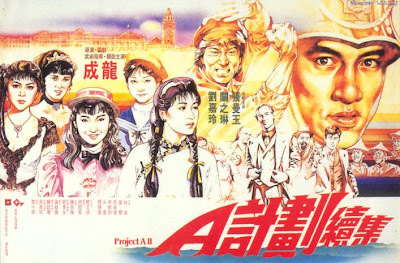 A strong, story driven adventure that melds the best aspects of both Project A and Police Story. It also displays his cleverest and most restrained sense of humor. Here, the comedy comes as a response to the situation rather than Jackie merely making a funny face at the camera. Above all else however, this film more than any of his others best encapsulates Jackie's greatest inspiration; that of the silent film comedian. If you were to turn the sound and color off, you would be left with a strong approximation of a Buster Keaton classic. 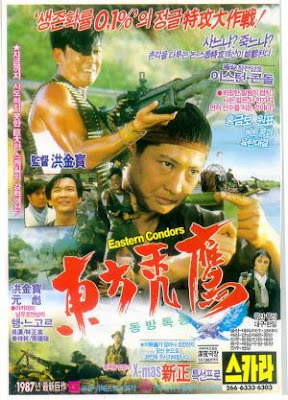 Sammo Hung at the absolute peak of his creative powers, fashions this Rambo/Dirty Dozen hybrid. 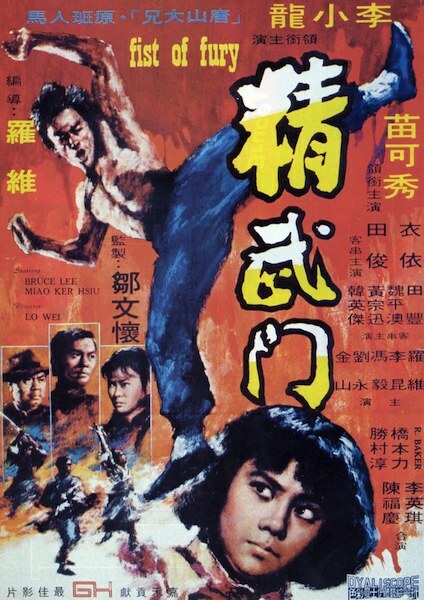 Some of the finest action sequences ever lensed can be found here and the large and varied cast are all at the top of their game (with the exception of Shaw favorite Hsaio Ho who is given short shrift), highlighted by a ferocious Joyce Godenzi (what a way to make a film debut!). Sammo himself dropped thirty pounds for the part and is at his athletic best. 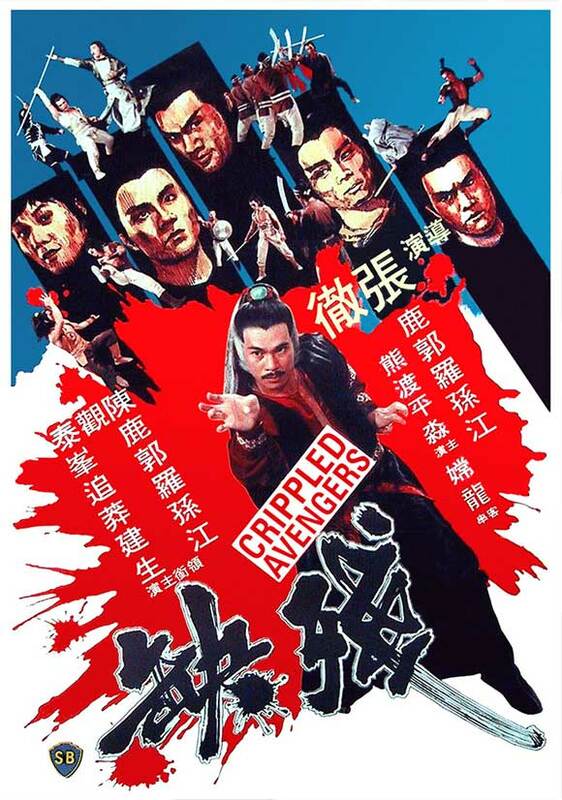 Endlessly rewatchable, a supreme martial arts/action movie as well as the best ever warsploitation epic. 3) Legendary Weapons of China. 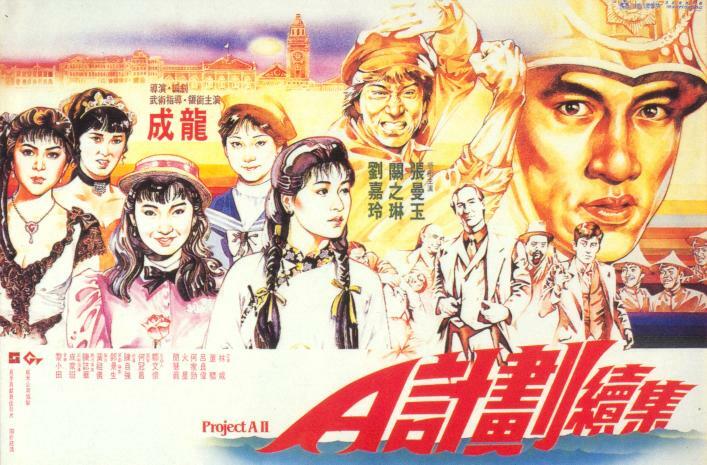 Beginning as a straightforward story told during the 'Boxer Rebellion' period of Chinese history before devolving into a humorous satire of martial arts movies and finally revealing itself as a meditation on the true meaning of martial arts itself, Lui Chia Liang's masterpiece is the kind of film that reminds me why I'm such a fan of the genre. Giving hinself a rare leading role, Liang proves to have acting chops that rival his supreme martial arts ability (honestly, is there anyone in the business who could have out dueled this man?). Quirky, extremely clever and endlessly inventive, Legendary Weapons of China is a kung fu movie for the advanced fan and probably the last word on the subject. 2) A Better Tomorrow 2. 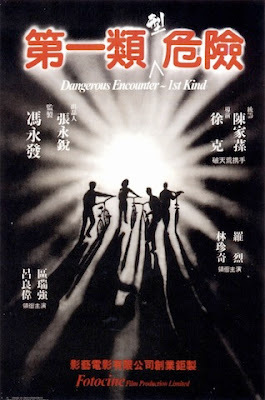 Uneven , disjointed and in some cases, loathed by many a John Woo fan (and essentially disowned by the man himself) I was nevertheless completely engrossed by this awkward masterpiece. The film plays throughout like an uncomfortable series of misteps and miscalculations. 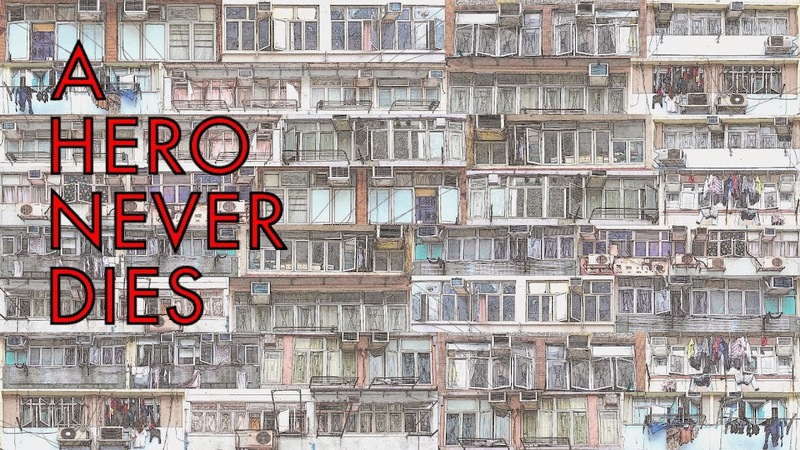 With characters getting offed early on and the introduction of a twin brother ( a hoary cliche that somehow worked beautifully in spite of itself), I found myself constantly kept in a state of unbalance. 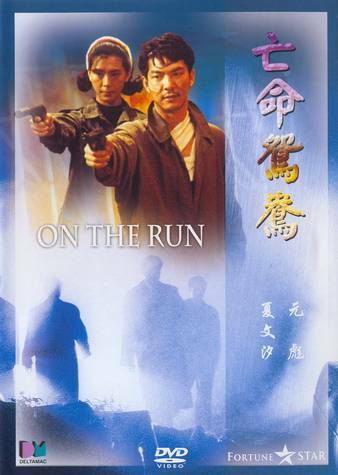 originally a near three hour epic, Woo and Tsui Hark were forced to make some thirty minutes worth of edits... seperately... without having time to consult each other. To add insult to injury, thirty more minutes were then randomly edited out by "someone else" in order for it to get more showings (and thereby bringing in more money). The resulting film is a chopped up shell of what it was supposed to be. Yet even in this butchered state, A Better Tomorrow 2 remains at the top of my favorites list. The finale (three vs. three hundred with semi automatics, hand grenades, hatchets and even a samurai sword) is nothing less than the most incredible fifteen minutes of action footage ever shot, period. Even 'The Wild Bunch' and 'Scarface' can't measure up. Still the most often watched sequence in my collection. If ever there was a case of the finale making the film, it is this one. Now let's just hope that the missing hour of footage is one day found and reinserted so that this film can be seen as intended. There's some irony in choosing this legendary basher as my favorite Hong Kong movie of all time. I was too young to see it in theaters when it was first released here in the States and somehow managed to miss it every time it aired on T.V. 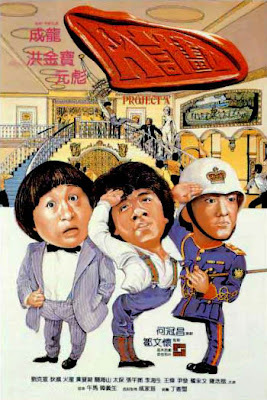 back in the '80s (as part of Shaw Bros. infamous Black Belt Theater packages). It wasn't until the early '90s that I finally landed a bootleg vhs copy of it. I was floored by the experience. Combining elements from classic Wuxia cinema and seamlessly blending it with Western and Film Noir elements, director Cheng Chang Ho (a Korean who was educated on such film genres) created a classic of character driven action cinema. As Quentin Tarantino so aptly mention in the dvd's commentary, this film has a 'call and response' quality to it unlike any I have ever seen from this genre from any time period. As action packed as it is, it is the drama and storytelling that draws you into it. Every character (even many of the minor ones) is given a full three dimensional presentation. You actually care about these fighters so that when something really heinous befalls them, you feel it (something that can't really be said about any other Chinese martial arts film made during this period aside from those of Bruce Lee). 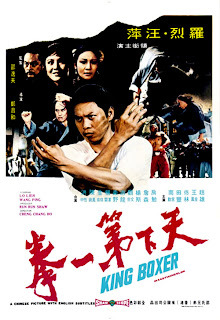 This along with some especially hard hitting fight scenes for it's time (note the early use of the 'powder puff' technique to show that the actor is really getting hit or landing especially hard after getting thrown; something that was not generally used until almost a full decade later) and the indelible prescence of star Lo Leih (one of Hong Kong's finest character actors) playing a rare heroic lead and you have an endlessly rewatchable masterpiece. I may not have the nostalgic affection that others do for this classic but after having caught up with it, there is no other that I love as much. 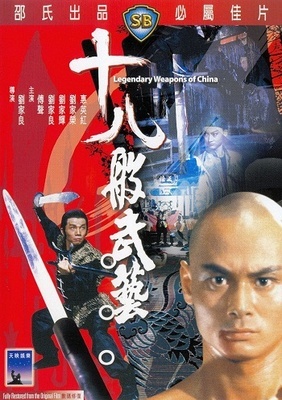 "Legendary Weapons of China" - how can you say no to a film where a man rips his own balls off to show how tough he is? Hadn't heard of some of these, which was a surprise. Good to see Yuen Biao getting some love. It's a pretty extreme way to show how hard you are Tim! The power of word of mouth in the case of On The Run YTSL!